Florida is now Zika-free, U.S. health officials reported Friday. One area in south Miami Beach had remained an active zone for local transmission of the virus, which can cause severe birth defects in babies born to women who are infected while pregnant. But the U.S. Centers for Disease Control and Prevention said in a statement that there have been no new cases of local Zika transmission in South Miami Beach for more than 45 days, so that neighborhood is no longer considered an active zone. “Florida’s rapid response and comprehensive mosquito control program has allowed them to interrupt Zika transmission, but we must stay vigilant and also take what we have learned and be prepared for next season,” CDC Director Dr. Tom Frieden said in a news release. And he added a caveat. “Pregnant women who live or have been to this area should continue to be evaluated for Zika exposure during their prenatal visits to prevent the devastating effects Zika can cause in their infants,” Frieden said. Florida is the only state to have confirmed cases of locally transmitted Zika infection. But Texas officials, who recently reported a suspected case of local infection, said Friday that they have identified four more cases of suspected locally transmitted Zika virus in Cameron County, near the border with Mexico. The additional cases involve patients who live close to the first suspected case. Though the investigation is ongoing, the infections were likely acquired in that immediate area last month, according to the Texas Department of State Health Services (DSHS). None of the cases involve pregnant women, officials said. Texas officials offered these Zika-protection tips: use EPA-approved insect repellent; use air conditioning or window and door screens to keep mosquitoes out of homes; wear long pants and long-sleeved shirts that cover exposed skin; remove standing water in and around homes that can become mosquito-breeding grounds. As of Dec. 8, an estimated 185 of more than 4,575 reported cases of Zika infection in the United States were spread locally by mosquitoes, according to the CDC. Most of the infections reported in the United States occurred in areas of Latin America and the Caribbean, where Zika cases have been at epidemic proportions. 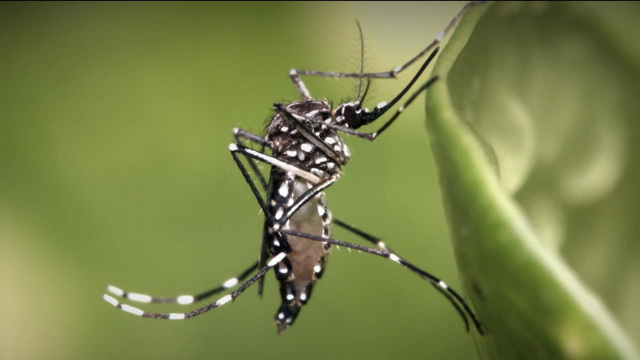 The virus is typically spread through the bite of the Aedes aegypti mosquito, although it can also be transmitted through sexual contact. Most adults who are infected with Zika experience mild symptoms. But, the babies of women who are infected while pregnant can experience devastating birth defects, the most common of which is microcephaly, where the brain is underdeveloped and the head is abnormally small.